Ultra-Luxurious, fully equipped, 4 bedroom family home. 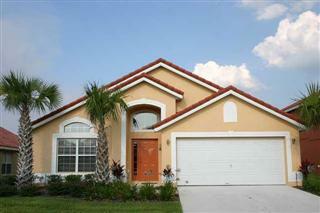 Sundance Villa is a fabulous 4 bedroom family home at Solana Resort. 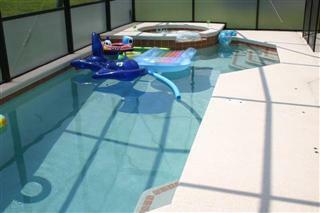 It has its own pool, spa on an extended deck and a games room. 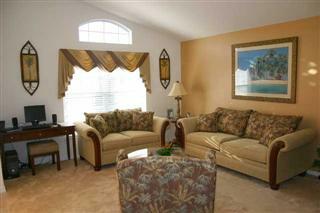 It is luxuriously and tastefully decorated and features many upgrades from the standard home. As you step into Sundance Villa you will enter the first of the two lounge areas. This is the 'quiet lounge' as we like to call it. Large relaxing sofas are perfect for spending a little time reading a book or just enjoying some quiet time in. As you can see there is also a full high speed internet PC for your use during your stay here too, and free telephone calls to USA, Canada, UK & Ireland (*). The lounge leads on into the dining area with its wonderful bay window. 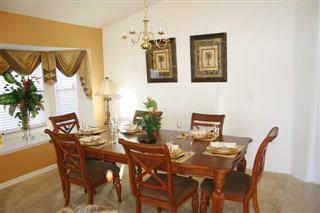 A large dining table is perfect for enjoying a family meal or entertaining guests at. As you look from here you can see passed the kitchen area into the family room below. This is the second of the two lounge areas. 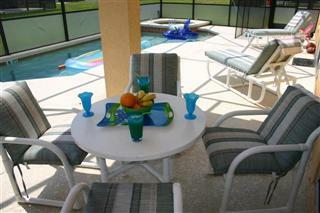 It has a beautiful view out through the doors to the pool and deck area. It features a large comfortable corner sofa, a CD stereo system and ipod dock and a home entertainment system. We provide a selection of board games too, for a more traditional family pastime. 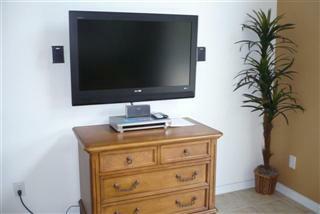 The main feature of the family room is the 42 inch HD television, featuring a Sony sound bar and smart Bluray DVD Player. We provide a good selection of movies for all family members to enjoy too. At the heart of the home is the kitchen area and breakfast nook. The kitchen is fully equipped, of course. 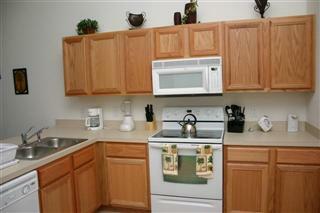 It is has an oven, cooker, microwave, dishwasher, waste disposal, electric kettle, blender, coffee maker, toaster, can opener. Full silverware, cookware, bakeware and utensils to suit everyone from the casual cook to the more demanding. 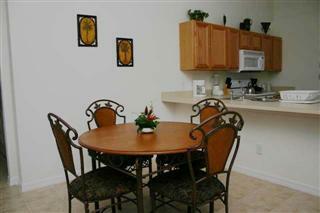 For breakfast, or a quick snack throughout the day, the breakfast nook is ideal. It has a table and four chairs and two further bar stools at the breakfast bar itself. 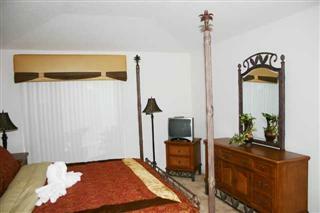 This is the King Master Suite with a fabulous four-poster bed and wonderful views out over the pool. It is lavishly decorated in dark reds and golds. It has a television, dvd player, radio alarm clock and hairdryer. The Master Suite bathroom features a full lit mirrored vanity unit, separate wc, a large walk-in shower and a huge corner bath tub. It leads through to the walk-in closet area. 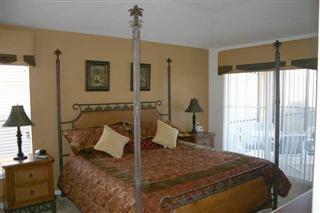 The Queen Master suite is decorated in gold and green florals to reflect a tropical feel. It has a television, dvd player, radio alram clock, and hairdryer. There is a short corridor with the closet that leads through to the en-suite bathroom. 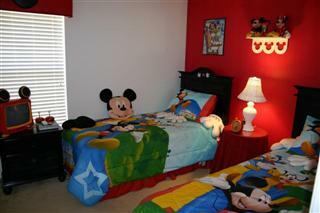 The further two bedrooms are both twin rooms and have been themed particularly for the younger group members. They share the full size bathroom that is located between them. The first of the two twins has a very popular Mickey 'n Minnie Disney theme. With a bright red, black and white design, there is no mistaking the Disney colors! There are lots of little touches too, like the Mickey apprentice hat on the shelf, Mickey slippers and gloves, soft toys etc. The television even has those trademark ears! There is also a Disney gamepad for the tv and not forgetting the Mickey mouse emblem on the window treatments and the Mickey alarm clock. There is also a toy box in the closet with a varied selection of boys and girls toys. We have recently added a DVD player to this room too. 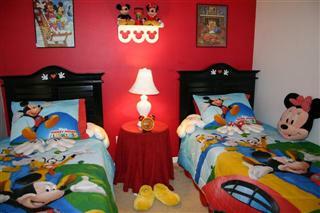 Our Disney room proves extremely popular with kids of all ages! 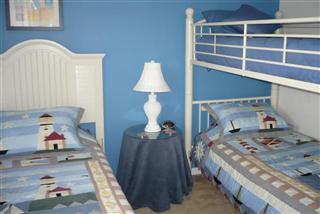 The other twin room has a nautical theme and is our own son's favorite. This room also has a radio alarm clock and a television. Following guest feedback, we have recently replaced one of the twin beds with bunk-beds to allow it to sleep three and a new photo will be available soon. This room is where the Playstation 2 can normally be found and there is a selection of games available too. It can also be used as DVD player. 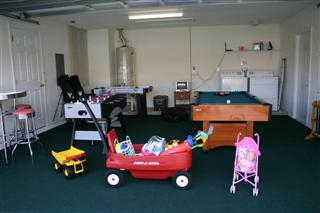 Sundance Villa's 'Games Room' features a billiard table, air-hockey and table football. There is a a bar table and stools and an electronic darts board. You will also find some of the larger toys here, like the radio flyer wagon, and also the two sets of golf clubs (regular sets) that are free for your use. 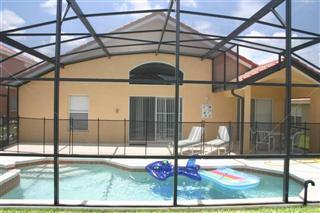 Sundance Villa has a sunny deck that is surrounded by a pool cage with 'Florida Glass' privacy screen and has a childrens safety fence gaurding the pool. It also has a covered porch area - ideal for those that prefer a little more shade. The inviting pool is gas heated (a charge for pool heating applies) and illuminated for those relaxing dips after a long day at the Parks. We supply a range of pool toys, although they will likely differ from those shown as they are a high replacement item. There is a table and chairs, and four relaxing cushioned chaise lounges. Sitting out for a lunch in the warm sunshine is a joy of Florida not to be missed. We provide an electric outdoor grill (naked flame bbqs are no longer permitted under the new rental home regulations). 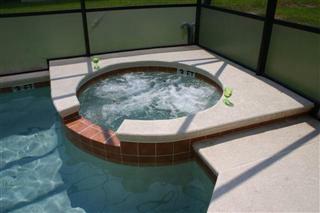 Finally, there is a fully automated and gas heated spa to have a relaxing soak with a long drink - enjoy!